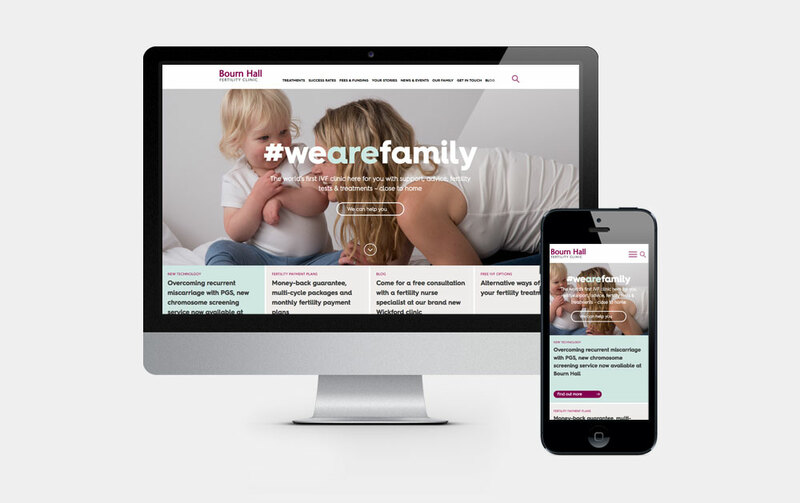 Bourn Hall Clinic is a fertility centre founded by IVF pioneers Mr Patrick Steptoe and Professor Robert Edwards, who were responsible for the conception of Louise Brown, the world's first IVF baby. Since its foundation the clinic has assisted in the conception of over 10,000 babies. While working at CPL I was tasked with the re-design of the Bourn Hall website, the brief for this was to create a responsive site that was welcoming and easy for users to navigate whilst providing them with all the information they needed to help them make an informed decision. 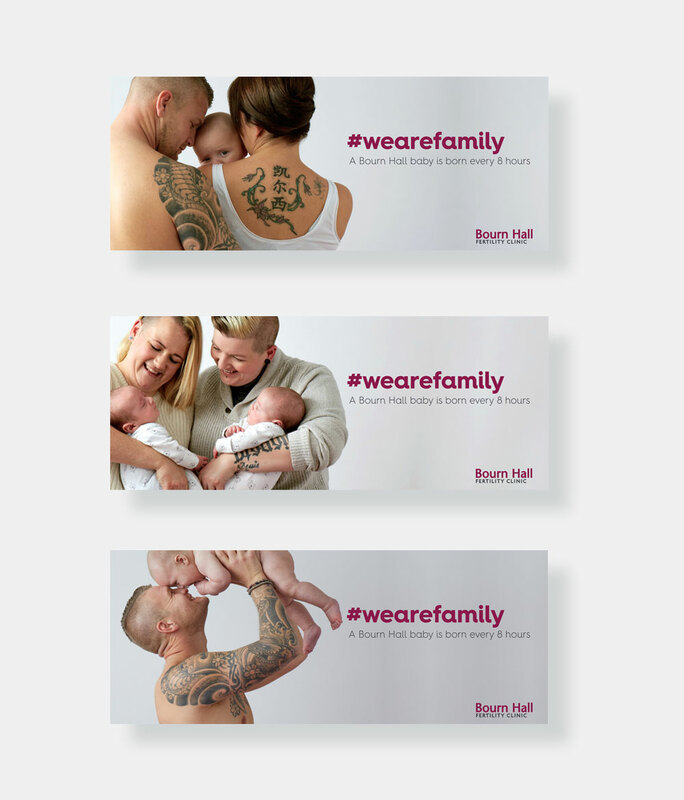 We were also challenged with creating a marketing campaign for them to help raise awareness of the clinic and increase the number of new patients. I worked as the lead visual designer for Bourn Hall working across both the website and marketing campaign, attending regular client meetings and implementing any feedback into designs. I collaborated with developers and strategists at CPL creating site maps, wireframes, prototypes and ensuring all designs were implemented accurately. To create the imagery we felt it was important to show real people and worked with a local photographer to shoot the Bourn Hall family including both patients and staff. We wanted these images to be intimate and show the closeness of a family and the happiness it brings to people.